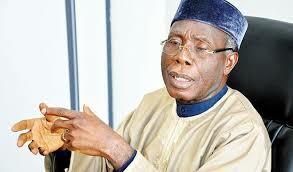 The Minister of Agriculture and Rural Development, Chief Audu Ogbeh has described the partnership between SunTrust Ltd and the Bank Of Agriculture (BOA) as a welcome development since most commercial banks are weary to offer loans to farmers. He also explained that farming has remained unattractive to prospective farmers because of high interest rates being charged by commercial banks. The Minister made this observation during the signing of a Memorandum of Understanding (MOU) between SunTrust Bank Ltd and the Bank of Agriculture at the Federal Ministry of Agriculture. With the partnership, farmers across the country are to start enjoying better financial services through accessing agricultural loans from the Bank of Agriculture (BOA) through the SunTrust Bank Ltd that will provide farmers with e-wallet and Automated Teller Machine (ATM) Cards. Expressing his confidence in the ability of managements of the banks to deliver on this initiative, the Minister announced that efforts are on to reduce interest rates being offered by commercial banks to 5% from the initial 7%. The Minister recalled that farmers have been enjoying the support of the Central Bank of Nigeria (CBN) through the Anchors Borrowers Programme, while noting that the CBN cannot act as a commercial bank for long. He also made it known that the Bureau of Public Enterprise (BPE) is being restructured to favour farmers. He assured that after the restructuring, 30% of the shares of Bank of Agriculture will be divested to farmers. The Chief Executive Officer of SunTrust Ltd Mr. Muhammad Jibrin explained that with this partnership, more customers will be attracted to their banks, projecting that by Year 2020, about two million customers would have been attracted to the bank. The Managing Director Bank of Agriculture, Mr. Kabiru Adamu said his bank is interested in changing the narrative of farmers who suffer because they do not have access to financial services. According to him, “Farmers should be able to do business without any challenges. This is the era of e-business, so farmers with e-wallets and ATM cards, can access our products”. He said their banks strongly identify with the Federal Government on its effort to diversify the economy through agriculture and assured the public that farmers would henceforth have easy access to finance at reasonable terms through this partnership.